...The dirty untold truths about selling your wash. Tip # 1: "Ready...Set....Wait a minute"
If you have unrealistic expectations, or you're not willing to have your business carefully scrutinized-maybe even harshly criticized-you may not have the right attitude required to sell successfully. Your attitude and mindset have to be right before you begin. Don't start until you are ready! What are the main reasons why you are selling your wash? Buyers will want to know. In fact, many prospective buyers will want to know your motivation for selling. Some commons reasons for selling include: 1) opportunity to begin a new venture; 2) burn out; 3) death; 4) divorce and 5) retirement. 6) failed partnerships. Whatever the reason for selling, a seller should always be ready to answer this question for the buyer. Make sure your mind is right. Take some deep breaths, maybe do some stretching exercises. It's going to be an interesting ride. The first few months are the most important time. If you rush into it without an organized plan of attack, you will squander the most valuable time to sell, and may scare away valuable strong buyers. If you are thinking of selling your car wash, it is never too soon to begin planning your escape. Tip # 2: "Begin with the end in mind"
You've put your blood, sweat and tears into building your car wash business, and now it's time to cash in. The ultimate goal should be to maximize your profits, and to minimize your headaches. The sad truth is that most business owners do NOT have an effective plan for exiting their business. If you have the right plan in place, your sale can be both profitable and painless. If you just try to "wing it" things could easily end up expensive and exhausting. What is your exit strategy? If your answer is "...put up a For Sale sign and see what happens..." you might want to reconsider. That is not an exit strategy - it's a recipe for disaster! You have to be ready to provide all the information that multiple potential buyers will need. Get your ducks in a row before you open the flood gates. Do you have a professionally prepared information package ready to go? Is the wash is looking good? Have you have met with your accountant? Have you reviewed you P & L's? What about a real estate broker? Do you have an aggressive marketing plan in place? These are only some of the questions that need to be addressed before you begin the sales process. Tip # 4: "Too much...Too Little...and Just Right?" Ask too much and scare people away for good. Ask too little and sell yourself short. How do you know where to set the sales price? The first step in selling any business is determining what it's actually worth. There are lots of formulas for valuing a car wash. Buyers may base a purchase offer in part on the value of the assets in your business, the cash flows, gross revenues, annual growth and other factors. But in the end it doesn't matter how many variables were considered or how many equations were used...sale prices typically are going to boil down to profits. You can count on the value of your business being driven by its bottom line. The sale price is almost always a multiple of the business's cash on cash return. To determine a value, begin by factoring in your bottom line net income. If the wash has been under-performing, let's figure out why and offer buyers a solution. Should you wait until the numbers are better so that you can defend a higher asking price? Not always. Can you wait? We can look for profit "potential" to predict future incomes. Some buyers look for under-performing washes to turn around. Tip # 5: "Time to Cook the Books"
Car washes are famous for showing little profit on a P&L. That's good for tax purposes, but bad when it comes time to determine the value of your wash. If you are going to get the full value you deserve, the Income and Expense statement should be reviewed, and possibly recast. 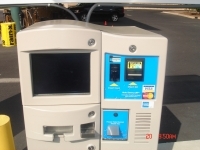 This is done to show prospective buyers your car wash in the most positive, honest, and accurate light possible. In privately held businesses, recasting of the company's financials is imperative. Recasting may include making adjustments to the operating statements, removing owner's compensation, spousal compensation, perks, and personal accounts. Non-recurring expenses, or excessive interest, is removed. Other adjustments include: the pricing of fixed assets at replacement value instead of book value, making inventory adjustments when and where necessary, and substituting straight-line depreciation where it has been accelerated. Recasting your Income and Expense statement to appeal to buyers doesn't mean its ok to fudge the numbers. Be honest and accurate. But understand that buyers go straight to the bottom line. If they don't like what they see, they move on. . Since income multipliers are used to determine value, your starting point has got to be right. It's your job to make sure the numbers are right before buyers get a chance to see them. Tip # 6: "A job well begun is half done." Avoid giving buyers information one piece at a time. Buyers have a short attention span, and will lose interest if you are not prepared. Have your sales package professionally prepared and ready for review by multiple buyers at once. All the important information about your wash must be assembled and packaged upfront to avoid buyers losing interest and going elsewhere. All the third parties involved (accountant, broker, and lender, appraiser) can then immediately review the records and expedite the sales process. Time is of the essence. Don't let negotiations drag on. Deals atrophy with age. A good sales package will make everything go faster, keep the buyer busy, and put more money in your pocket. Tip # 7: "Buyers are Liars"
Are buyers all liars? Of course not, but you still have to separate the serious qualified buyers from the nosey neighbors, curious competitors, and the time wasting tire kickers. 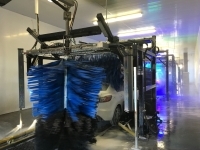 This alone may be reason enough for you to retain a broker to represent you in selling your car wash. An industry specific real estate broker knows how to sort through the many non-qualified potential buyers to get to the few who actually do have the means and motivation to buy a business. Once the unqualified potential buyers have been pulled out, still only somewhere around 10% of these folks may actually present a letter of intent and put down their earnest money. Don't let your business suffer because you are spending all your time trying to sell your wash. For this and many other reasons, I strongly recommend that sellers use an industry specific broker to represent them in selling their car wash. Tip #8: "Cash is King...But Royalty is Rare"
Cash buyers are great, but not always easy to find. Deal with banks that are used to financing car washes if you can help it. Lenders that understand the ins and outs of the industry are preferred. The buyer chooses the bank, but you might be able to help. Business sales experts say that more than half of all small-business owners finance the sale of their businesses. Balloons are common. The terms of seller financing deals vary, but many owners and buyers agree on 20-25 year amortization period, but with balloons after four to five years. Part of the process will involve getting information on the buyer's financial records and background, just as the buyer will need information on your business's history. If you do decide to hold paper please remember, a large down payment is your best protection. Tip # 9: >"Loose Lips Sink Ships"
How do you market your property without anyone knowing it is for sale? Talk about a catch-22. That doesn't even sound right. It is important to make sure you have a marketing plan that doesn't shoot you in the foot. Horror story #1: A supplier caught wind that the business was for sale, lines of credit were pulled and all orders were filled only on a cash-on-delivery basis. Ouch! 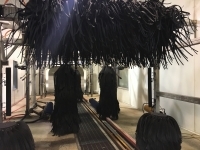 Horror story # 2: a (potential) buyer visits the wash and announces that he is going to buy the wash and that "...things are going to be different around here..." That is a great way to get valuable trained employees to abandon ship immediately, or looking to leave the company while you are trying to sell. Avoid losing key staff and suppliers by keeping your business sale a secret. One word to your suppliers, employees, or customers that you are selling the company can have repercussions on your business operations. The Business Profile is not released to potential buyers until after they sign non-disclosure agreements as confidentiality is imperative. Advertising done prior to that is "blind", meaning that there are no company or owner names, or exact locations used. Confidentiality agreements are only part of the equation. The selling of your car wash is a highly confidential matter. Your broker should ensure all safeguards are in place to protect you and your investment. Tip # 10: >>"You are supposed to be helping"
Finally you are getting close. You can almost feel that check in your hand. The buyer has presented a letter of intent. You have agreed on a sales price, closing date, down payment, earnest monies, and due diligence period. By the time the attorney gets involved, the major points have already been negotiated. Now is usually when the buyer's attorney will prepare the contract for your attorney to review. Always avoid reopening the negotiations if you can! There is without a doubt a need for a competent commercial law attorney to advise and prepare the purchase contract and oversee the transaction. But the problems begin when the attorneys see themselves as business negotiators whose mission is to get the best deal for their client only. Lawyers often forget that the best deal has to involve both parties, and that compromise is usually the best solution. Each attorney nudging their client to "ask for more" essentially reopens the negotiations, which at this point, is a bad idea. When the individual attorneys are pulling the buyers and sellers apart, someone needs take the middle road (usually your broker), and draw them back towards common ground. Attorney's limiting their focus to how to get the best deal for their client only, is the nature of the problem. Usually, an attempt at a one sided deal for either party will result in no deal at all. Stay flexible. Selling is a two-way street. A good sale is a "win/win" proposition. Be creative. There is a solution to every problem.